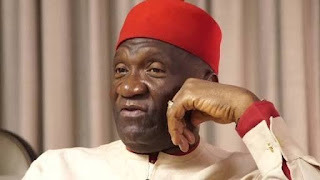 A Chieftain of the All Progressives Congress (APC) in Abia, Mr Austin Meregini, a.k.a “Ugolee”, says it will be bad if the south-easterners are denied the position of Senate President in the 9th National Assembly. Meregini, the APC Candidate for Umuahia East Constituency seat in the Abia State House of Assembly in the last general elections, made the assertion on Tuesday in Lagos. The APC Chieftain added: “It will be natural justice to have a south-easterner assume this position and it will be no other person than Dr Orji Uzor Kalu, the Abia North Senator-elect for the ninth assembly. According to him, Kalu though a first term senator in the Senate possesses the requisite leadership and legislative experience to lead the red chamber. He said that Kalu, as a former member of the House of Representatives in 1991 and two-term governor of Abia, had the love of the country at heart and cares so must about the south-easterners. According to him, if the office is zoned to the region, it will bring natural peace and harmonious coexistence in the country and end all Biafra agitations as well as secession quests. The candidate, who alleged that he was rigged out during the election, urged his supporters to remain calm as the mandate would be regained at the tribunal. The ruling All Progressives Congress (APC) secured majority seats in the just-concluded National Assembly election, and the party has yet to state the geo-political zone to produce the ninth National Assembly Senate President.